Wolves in Norway used to be safe in 5% of the country, in so-called wolf zones. Until now, as the Norwegian government decided to kill an entire wolf pack in a wolf protection zone close. This zone is close to the Swedish border. We share the message of NOAH, to raise awareness on this unprecedented decision. Please also read: Why is Norway killing wolves? By the end of 2018, there were six wolf packs in Norway and an additional five in the Swedish-Norwegian border region. The Norwegian government has taken the decision that one of the these wolf packs must go. This means that hunters will open the hunt on the entire wolf pack, on January 1st 2019. According to the Environmental Agency of Norway, these wolves are not ‘genetically valuable’ to protect. The wolves did not originate from other populations, neither are they descendants from other populations. Update 07.01.2019: Hunters killed the alpha female and male of the wolf pack during the first days of the 2019 hunting season. It is the first time that people will kill an entire wolf pack within a wolf protection zone. Furthermore, it demonstrates again the unwillingness of Norway to support conservation efforts to protect the struggling Scandinavian wolf population. The Norwegian Minister of Environment allows the killing to limit conflicts between people. Yet, international examples show that allowing culling does not increase acceptance towards wolves, but has opposite effects. Nevertheless, the Minister considers grazing, hunting, and human feelings as arguments why killing wolves is legal. Interestingly, the majority of Norwegians welcomes the wolf, and does not want them gone. Getting rid of the wolf family will not help to solve the conflicts referred to in the decision, but only postpone tackling them in an effective manner. NOAH sees the decision as an attempt to satisfy those who wish to keep the wolf population in Norway as low as possible. The wolf zone makes up only 5% of Norway’s territory. The government policy prohibits wolves from roaming outside this zone. When the government now allows hunting down a wolf family even in this relatively small area, then it is a clear sign to the international community that Norway is not taking the protection of threatened species seriously. 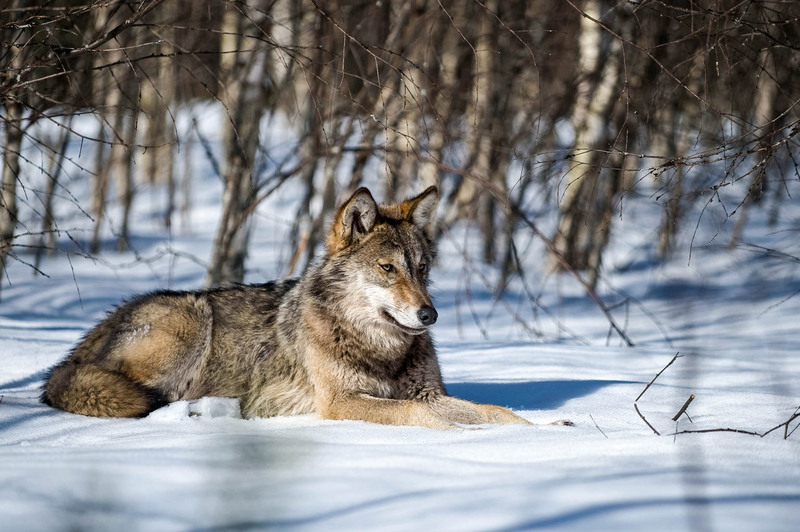 By giving a green light to shooting wolves within the wolf zone, the government aims to satisfy those who wish to keep the wolf population in Norway as low as possible. The Bern Convention on the Conservation of European Wildlife and Natural Habitats provides no legal ground to reduce the population size of a threatened species for the sole reason that some people do not like the species. While international researchers warn against the alarming reduction of wild animal populations all over the world, Norwegian politicians let economic interests take precedence over the protection of wildlife. The idea of setting an upper limit for the population of a threatened species is absurd in itself. Now that this idea has become the basis of wildlife management in Norway, wild species are destined to remain threatened into an indefinite and uncertain future, with no hope of improvement. The majority of Norwegians do not align with this kind of policy – they want the parliament and the authorities to take the protection of wildlife seriously. But politicians fail to listen to the people. The story is wrtitten by Nick Huisman who has been mixing some of the facts. Siri Martinsen, leader of NOAH, is quoted and say no wrong things. Please ignorere the hater comments . Norway has only about 78 wolfs and 2000000 sheep . The wolfs are supposed to live in protected areas but now They are not protected there anymore . Norway killed altso wolwerines with cubs in the dens and lynx and bears . We have almost none left .Those desiding how many to kill in the regions are Sheep farmers , forest «barons» who benefit from elg hunt and hunters . Shame on my home country ! concerning the wolves in Norway there are many truths. Reality is that Norway is systematically killing wolves with no reason. Europe can deal with 17 000 wolves and Norway cannot even cope with so few wolves. The concept of wolf-zones is already ridiculous and does not conform with the Eu or Bern convention. The whole situation in Norway is really troublesome. The wolf population is under great threat. It is amazing, that Europe can cope with 17 000 wolves and Norway seems to be overwhelmed with such a small number. Maybe Norwegians should learn form our southern neighbours that wolves are no threat to humans, that the impact on livestock is minimal, that wolves play an important role in the ecological system, that hunters actually like them as assistants in managing the exploding population of ungulates and that subsequently the forest are suffering less from debarking saving in Germany alone millions. PS Abusing GPS collars for scientific monitoring to track down wolves to kill them is really abominably. Nick Huisman, you should check your facts better before writing articles like this.You inform your readers that there is 3 wolfpacks in the wolfsone. You write that there is no knowledge about how many wolves there are in this pack, and the hunters could kill random volves. Well, the pack that is going to be taken out consist of 3 individuals, registered with dna. 1 alfamale, 1 alfafemale, and an older cub. The two alfawolves are in bad health, and has not been able to reproduce last season. They have gps-transmitters, so it wouldn’t be hard to take out the right individuals. Never trust NOAH’s facts. They use wrong numbers in almost every post I’we seen. Mrs Martinsen write; “There are three wolf packs in the Norwegian protection zone, close to the Swedish border. The Norwegian government has now taken the decision that one of the three wolf packs must go” -this is a straight lie, The official minimum and maximum number of packs are 3-6 who have documentary litters – as for now, we are way over this population, so, therefore i claim Siri Martinsen as a notorious liar. The reason for the hunt is that the number of wolves in the zone exceeds the goal set by the Norwegian parliament. The zone was earlier established without asking the inhabitants. A large number of the inhabitants belong to the Forest Finn minority and were living from small farms with animals feeding in the forest during summer. In the zone a number of plants and insects dependant on this small scale farming are now threatened by extinction as the farming was abruptly ended by the wolves.